The battle of Bosworth marked an epoch in the lives of two great housesthe house of York fell to the ground when Richard III died on the field of battle; and the house of Tudor rose from the massacre to reign for the next hundred years. 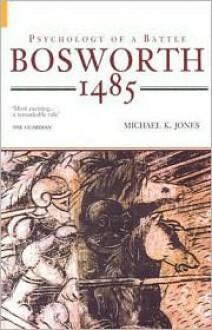 Michael Jones rewrites this landmark event in English history with startling evidence to suggest that the site of the battle recognized for over 500 years is wrong. He not only shifts the location of the battle, but shifts our perspective of its heroes and villains and its place in history.